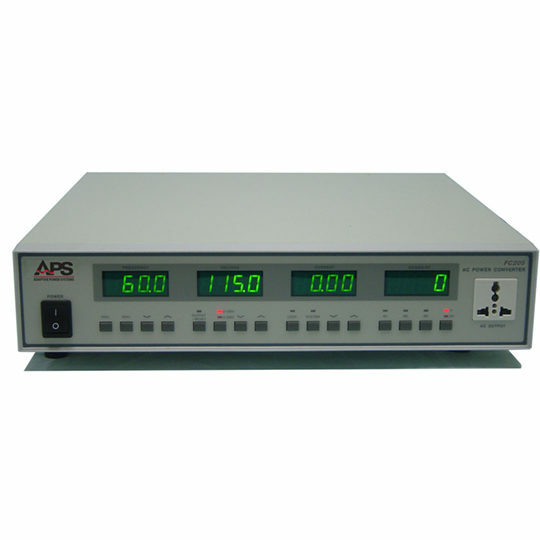 The KLP is an entirely new laboratory power supply in which the voltage/current limits are automatically recalculated, forming a constant-power hyperbolic-shaped boundary between the voltage and current modes. This curve, which replaces the single max-power operating point of conventional power supplies, provides the user with a greatly expanded choice of maximum power volt-ampere combinations as illustrated in the diagram by points A to B to C. The constant-power limit of the KLP is 1200 watts. 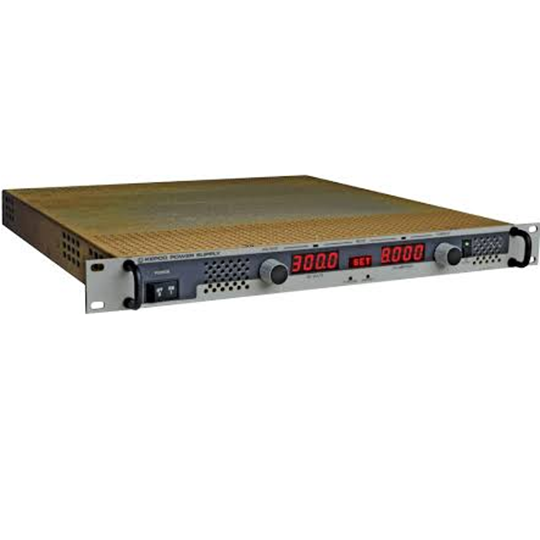 The standard KLP Models (no suffix, previously referred to as -1200 models) have built-in GPIB and RS 232 interfaces. 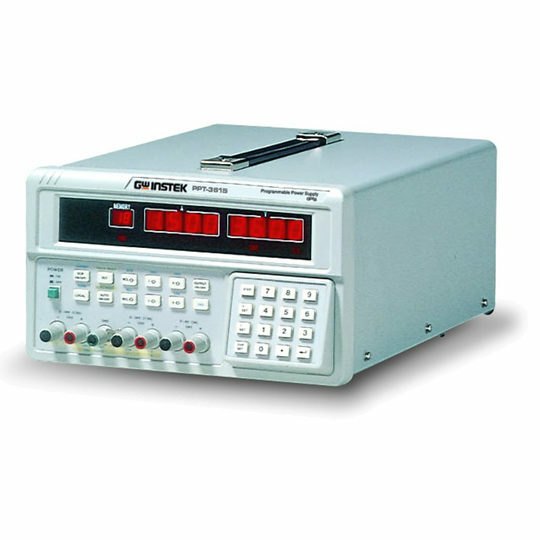 The E-Series models (suffix E, previously referred to as -1.2K Models) have built-in GPIB and LAN interfaces. The LAN interface is an LXI-approved ethernet-based interface that allows multiple-user access via a standard web browser. 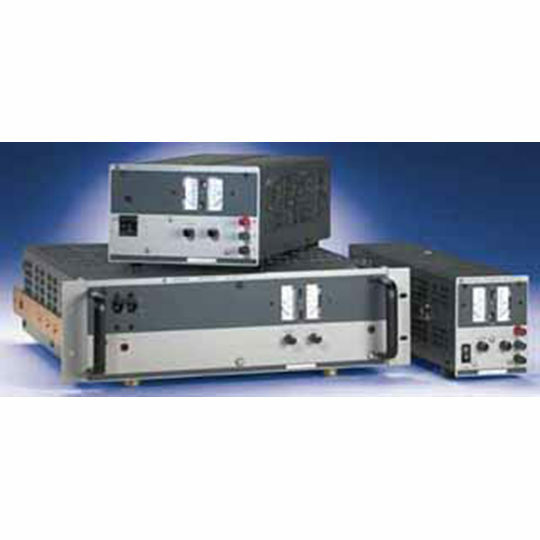 Both standard and E-Series KLP models employ Kepco’s Hyperbolic Power ™ technology for full 1200 watt power over the operating range. 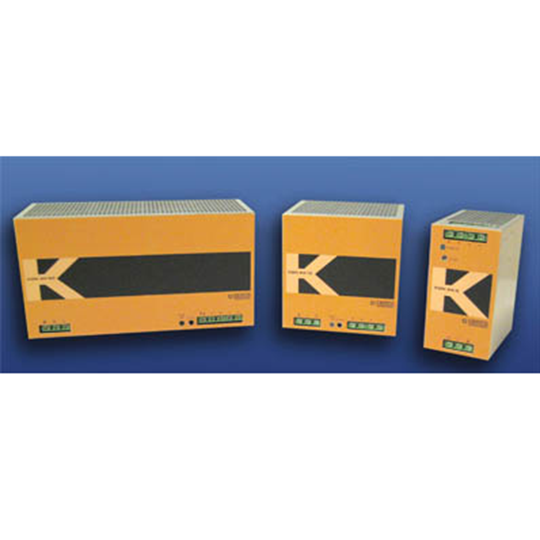 The KLP saves money and space by reducing the number of power supplies required. 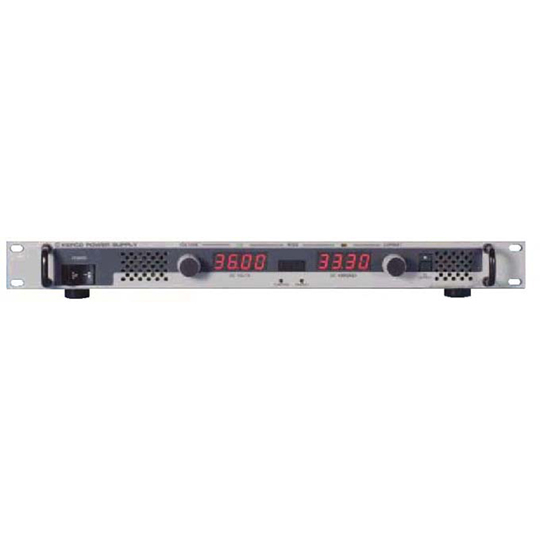 For example: the single model KLP 75-33 operates as a 0-75V/16A power supply or a 0-36V/33A power supply and all 1200W volt-ampere combinations in between. 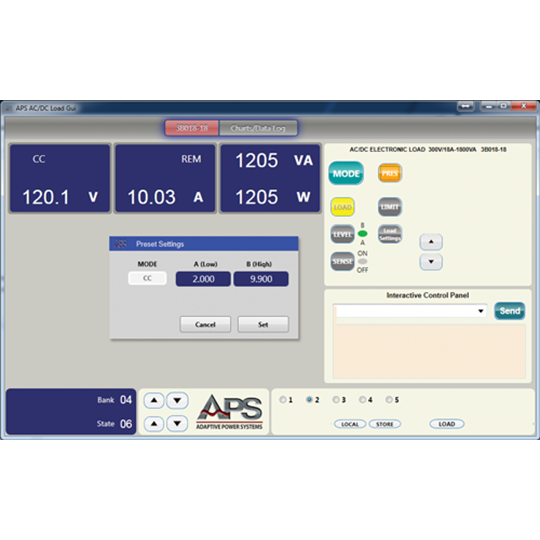 Four recent models provide voltage as high as 600V (KLP 600-4 and KLP 600-4E) and current as high as 150A (KLP 10-150 and KLP 10-150E). Kepco makes a variety of accessory prefabricated line cord sets for connecting KLP to source power via conventional box-mounted receptacles; a user-wireable mating plug (P/N 142-0381) is supplied with the unit to allow the user to fabricate a custom line cord for applications involving custom source power wiring. The table below lists three popular cord set variants for North American applications available as accessories. For other options please contact Kepco Sales Engineering with specific requirements.